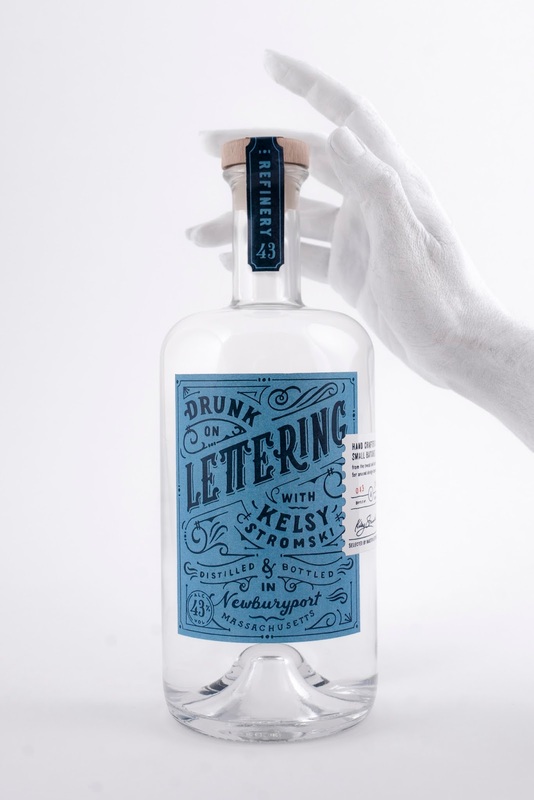 Kelsy Stromski, Refinery 43’s Owner & Creative Director, was approached to sit down for an interview with Drunk on Lettering, a weekly podcast that features the top designers in the world…drunk. This is not your average design podcast. Not even close. 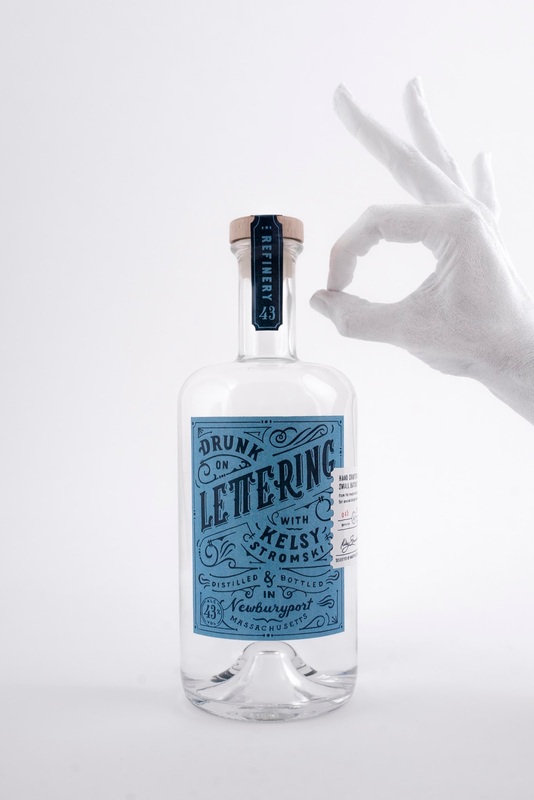 Each week Roxy Prima & Phoebe Cornog, the hosts of the world’s most popular drunk, lettering podcast, interview their idols over drinks to get to know the person behind the designs and what they’re like in real life. 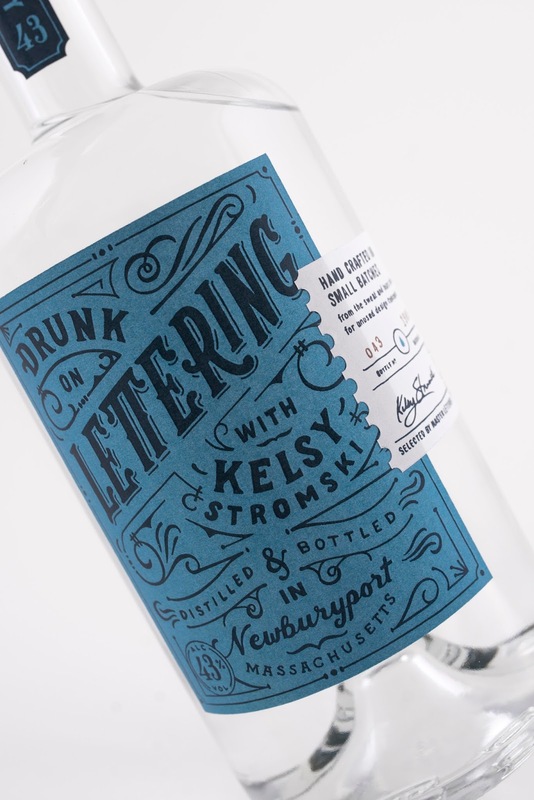 As part of the deal, Refinery 43 was asked to create an instagram ready drawing/lettering piece that says “Drunk on Lettering with Kelsy Stromski”. For this project with complete freedom (yah! 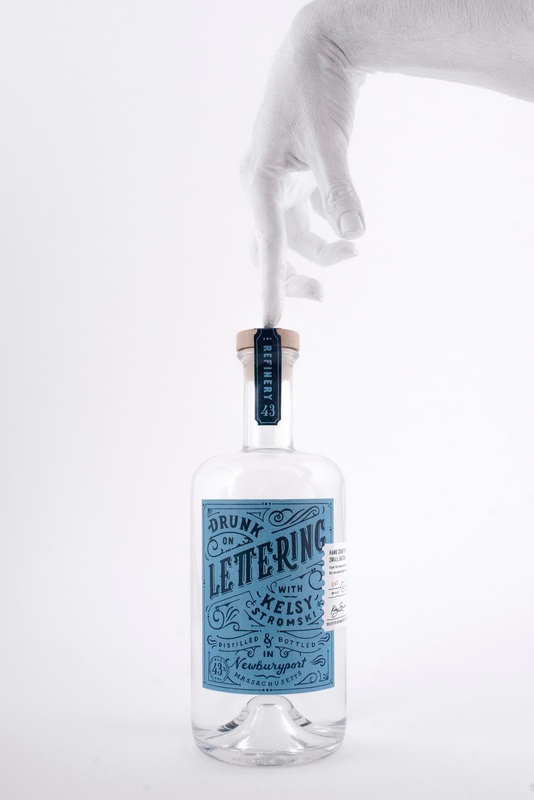 ), Stromski chose to take it one step further and create a tangible package design to also showcase the studio’s packaging chops. She chose a style she loves — classic, vintage typography with a new modern twist. 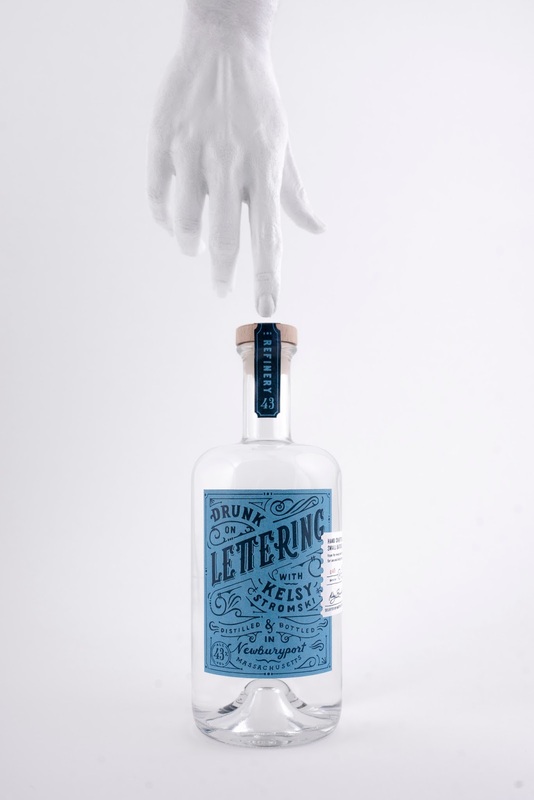 The alcohol label was designed, hand-lettered, printed and photographed all within one weekend.